One of the most important parts of trading in your phone is preparing it to get shipped through the mail. After all, the chances are you are going to be sending a device that costs a couple of hundred dollars through the American postal system. The last thing you want to happen at this stage of the process, is the phone to be damaged or even worse, go missing. We have heard many horror stories where phones haven’t been packaged properly, only to be damaged before they make their way to the buyback companies HQ. At the end of the day a broken phone means a substantial cut on the original price you were quoted. The purpose of this guide is to show you the steps that you need to take before posting off your phone or tablet, from packaging ideas to postal services that you should choose. So, before you get too eager and send your phone off, take a look at these tips. 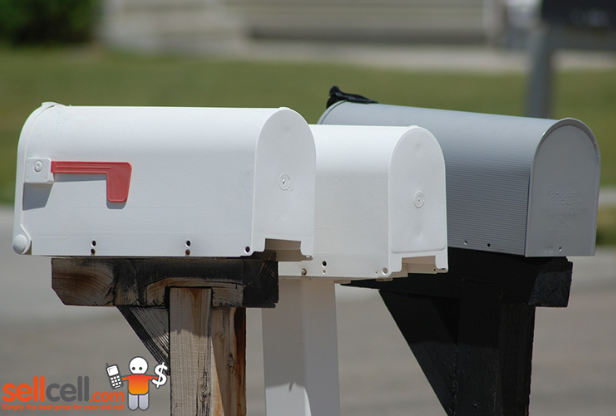 The first thing you need to do before wrapping your phone up for its journey through the mail, is to take out any additional components that you don’t need to send with it. Two of the main things people forget to remove is the SIM card and the SD card so be sure to eject these from the device before you begin packaging. You may not need them anymore but as a security measure you don’t want to be leaving personal and confidential data of names and numbers. You don’t need to charge your phone up to 100% (if you don’t want to), but you need to have some charge in the phone so the recyclers can then test the phone upon receiving it. If you happen to send off a rare type of cell phone that has a flat battery, you will just delay your trade-in as they will have to find a way to charge up your phone. We know that this step can be tough because most people use their cell phones as digital cameras these days, so having the function to take a photo of your phone isn’t always easy. This is where you can get your family or friends help, or if you happen to own a digital camera as well then use this. It’s easy to drop your phone into an envelope and send it off but the chances are that if you take that kind of approach you are going to end up with a broken phone. Instead, you want to make sure that your phone doesn’t get damaged through transit so using the appropriate materials is key to keeping your phone safe. Our tips for packaging are to pack your cell phone in either a padded envelope or a cardboard box. Don’t just leave it at that though, you want to add an extra layer of protection so wrap your device in bubble wrap, and then fill either the padded envelope or cardboard box with shredded paper, extra bubble wrap or polystyrene pieces. Basically, anything that offers a padding solution. Remember, the better you pack the box, the less chance of your phone getting damaged. The final step to sending your phone off is to purchase a tracked and insured service because you want it to reach its final destination in one piece and you don’t want it to get lost along the way, never to be seen again. One of the most important steps you can take if sending a phone of value through the post is purchasing a tracked and insured service, which does cost but for a $10-$20 it’s worth having this insurance in place if you are selling a couple of hundred dollar cell phone. Using USPS (United States Postal Service) you can calculate the cost and add extras to your shipment. Depending on where you are based and where you are sending the phone to will dictate the overall price. As an example we looked at sending a phone with next day tracked and insured options from 90001 to 85001 and the fee was $19.99. In order to get the maximum value for your cell phone packaging your phone well and insuring it through the mail is a fundamental step of the trade-in process. Don’t take chances, and don’t expect the packaging to be handed like it was fine China. To get a price for your phone today, just type your make and model in the search box and see how much your unwanted phone could be worth.